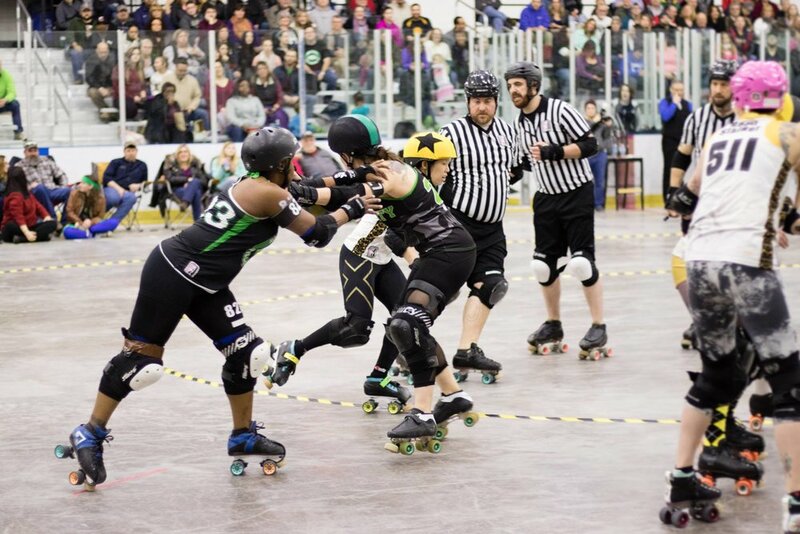 Established in 2008, we are Rochester New York’s first flat-track roller derby League. We are member owned and operated, and maintain an active status within the Women’s Flat Track Derby Association (WFTDA). 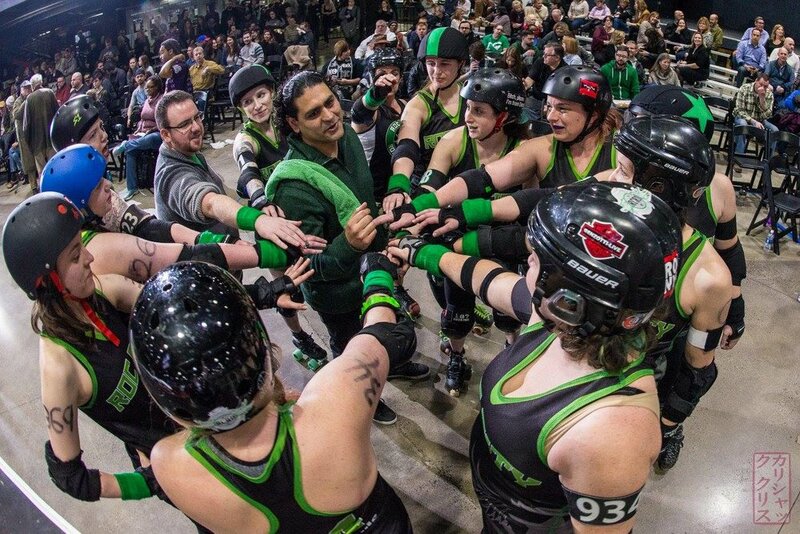 Roc City Roller Derby embodies your competitive spirit and skill as an all-inclusive group of diverse people. We’re not just teammates; we are parents, young adults, artists, and fellow enthusiastic sportspeople. Come for the sport, stay for the family. 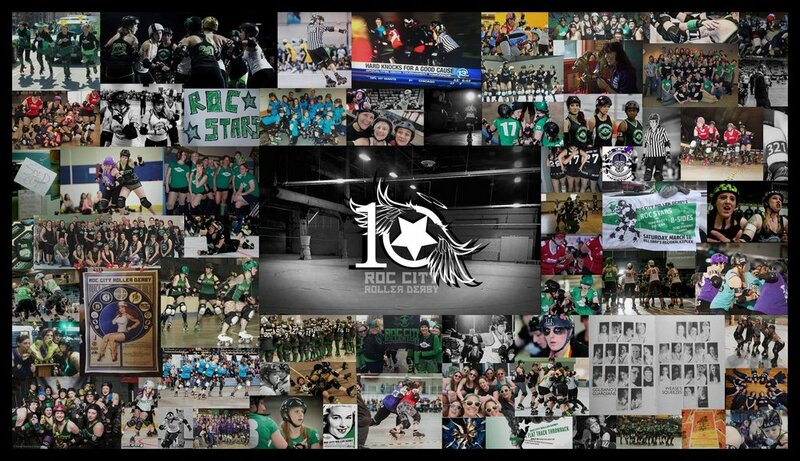 Roc City Roller Derby is a nonprofit, amateur athletic league that strives to promote the beautiful sport of roller derby. Our members compliment the vibrant energy in the Rochester community and continue to set the example for providing an engaging and inclusive atmosphere for all. Established in 2008, we are Rochester New York’s first flat-track roller derby League. We are member owned and operated, and maintain an active status within the Women’s Flat Track Derby Association (WFTDA). Roc City Roller Derby League members come from all over Western New York. We’re made up of incredible skaters, officials, and volunteers. Some of us have been lifelong athletes while others consider this their first foray into a competitive sport. Roc City Roller Derby is also the proud home of our officiating crew, the 19th Wardens. Founding member Resident Eva had a revelation while watching the Austin roller girls zip around their track sending competitors flying - She was in the wrong place. Rather than warming a folding seat in the stands, Eva knew she belonged on the track. Sadly, Rochester offered no such opportunity. When she looked around and saw no one else was working toward creating a league, Eva did it herself. From humble beginnings - and the invaluable help of members like Emmeline Spankhurst and Emasculate ‘Em - Roc City found our first private practice space in 2008 and began adding members. *Have a group of 8 or more, military ID, or student ID. Buy tickets at the game for only $8. Double Header and Home Opener! RT @anotherjimolson: @thederbyapex @RocDerby @koolgwen B-Sides also won 161-146... 15 points again. 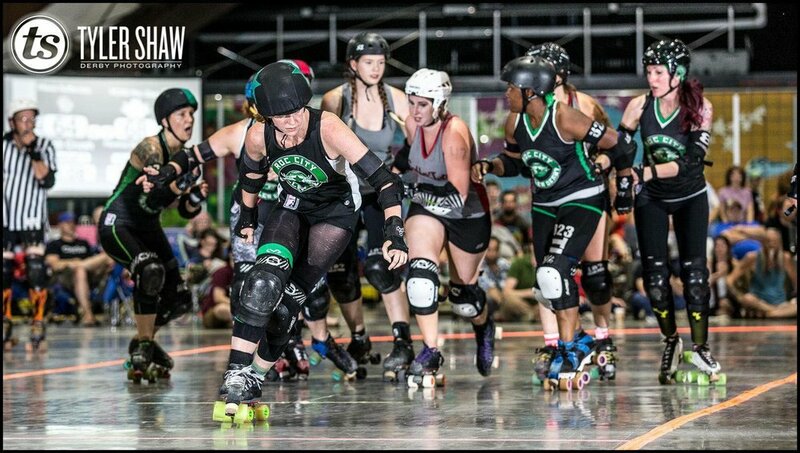 RT @ohiorollerderby: Gang Green pulls out ahead thanks to a power jam, up 111 to 105 over @RocDerby going into jam 10!